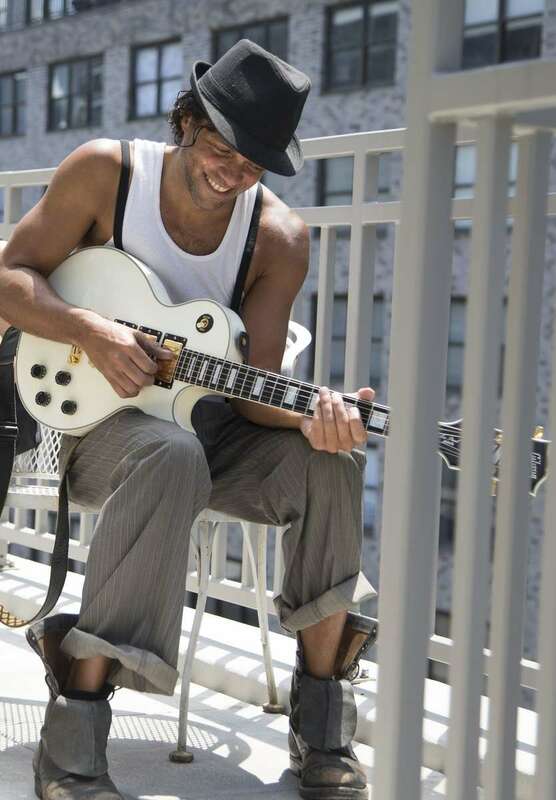 Have fun learning to play the guitar or improving your playing with Kareem Devlin (Lady Gaga, SNL, American Idol) in his boutique midtown NYC music studio. He also offers lessons via Skype. Working with guitarists from beginning children to advanced adult levels, he focuses on the development of each player's own unique sound and style with a focus on pop/rock styles. While working on the development of technical ability, he also encourages the development of each musician as an artist and performer. Please email info@kareemdevlin.com for more info or to schedule a lesson. Kareem "Jesus" Devlin is a professional guitarist, artist and producer. He has performed around the world with artists including Lady Gaga on her Monster Ball Tour and has performed on on TV shows including SNL, The Today Show, Ellen, Jimmy Kimmel Live and many more. He has taught master classes around the country through Camp Jam, and he is now teaching a limited amount of guitar students in his midtown Manhattan studio.